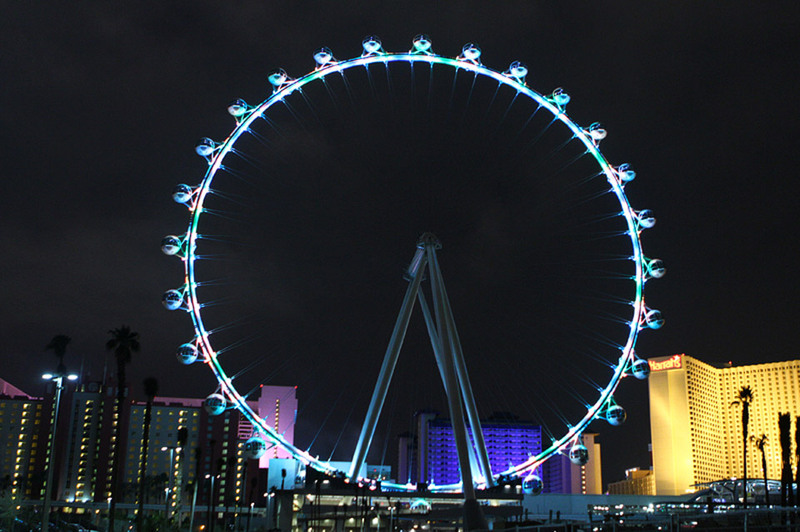 Ever bigger, ever more impressive and mind-boggling observation wheels are competing for world records and the race isn't finished yet! 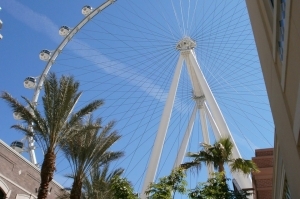 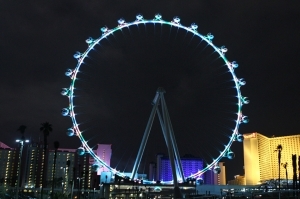 Right in the middle of Las Vegas, the High Roller observation wheel brings new excitement to THE gambling hot spot: this giant observation wheel towers up to 168 metres above the ground. 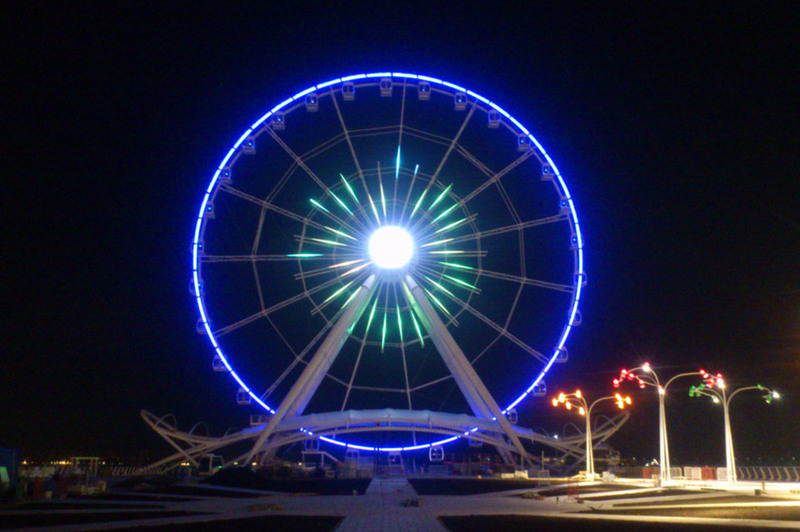 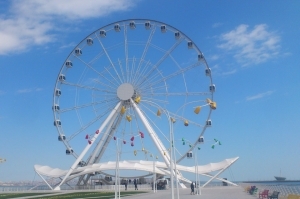 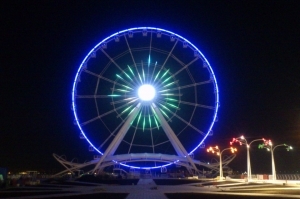 The highest observation wheel in the world! 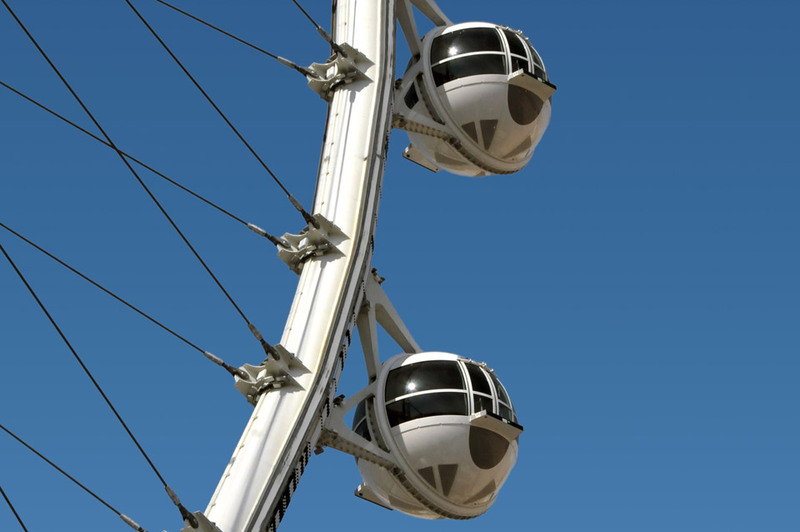 Its construction has been a fascinating challenge for Sigma, who has designed spherical panoramic capsules resembling futuristic space shuttles. Each capsule is nearly entirely covered in glass panes, and offers personalised entertainment and 8 video screens. 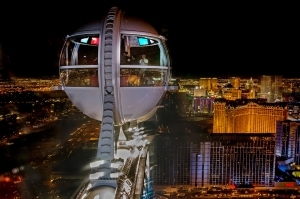 The passengers experience 45 minutes of unforgettable and dazzling travel above the casinos and grand hotels of Las Vegas. 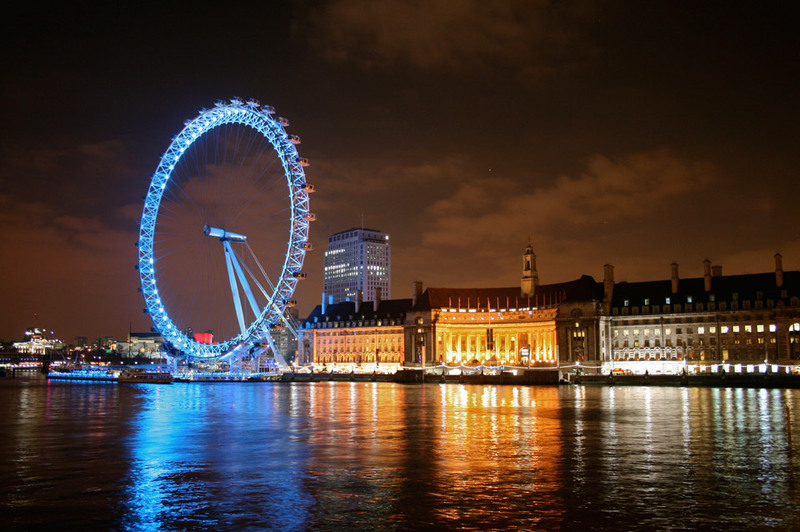 The London Eye was built to celebrate the beginning of the year 2000, and was first called the great wheel of the 21st Century. 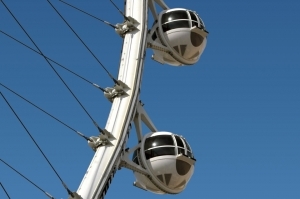 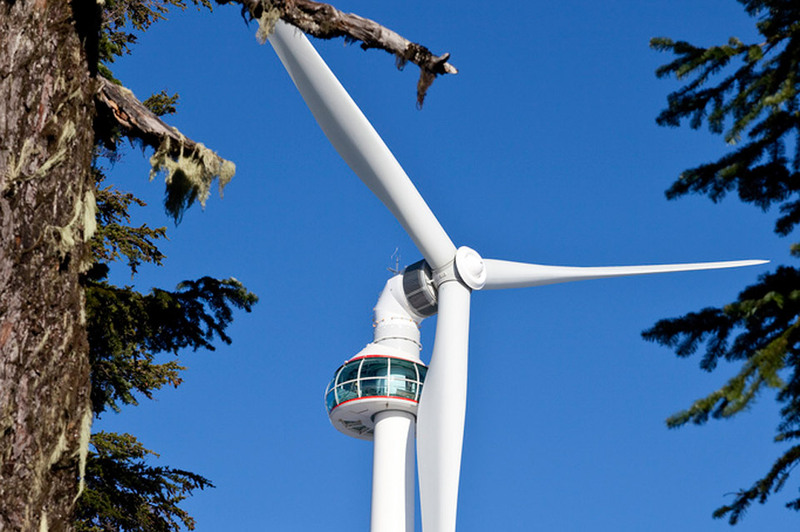 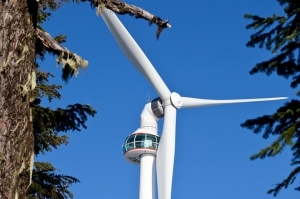 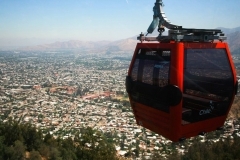 Its 32 Sigma capsules are air-conditioned and can each hold 25 passengers. 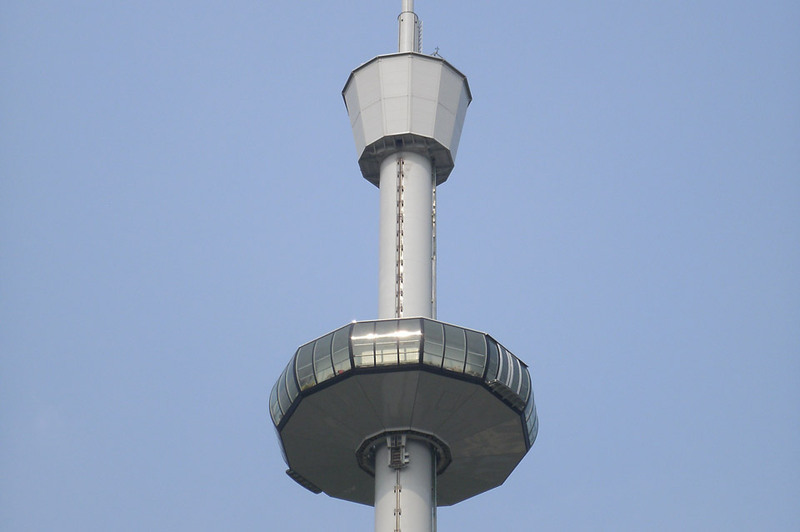 Its success has meant it cannot be taken down! 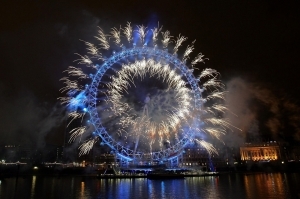 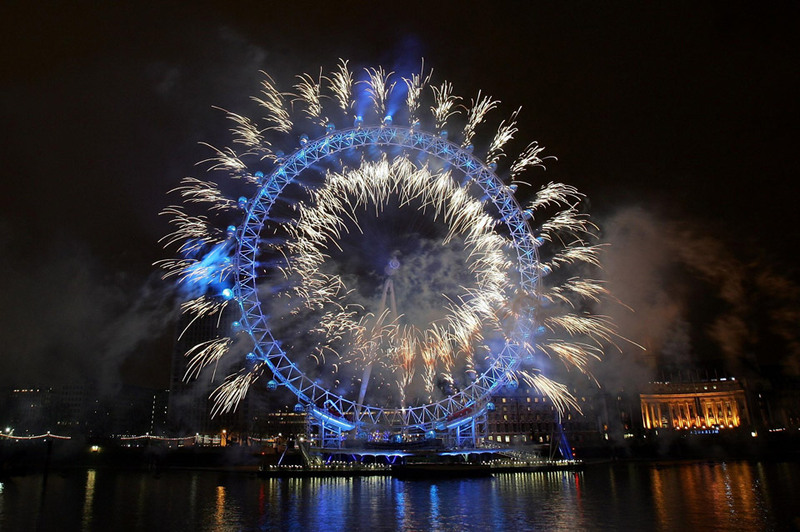 The London Eye has become the centre of New Year's Eve celebrations in London.